The ability to think and feel is what makes us humans differ from other species on earth. This is also what Cecilia Damström tries to achieve with her compositions; to make people think and feel. Born into a multicultural family in Helsinki, languages and the possibility of combining languages, have always appealed to her while composing. With a background as a classical pianist and with theatre as an interest, also harmony, direction, a sense of drama, and expressivity are always present in her music. Since graduating in 2014 she has constantly been working on commissions for various ensembles and festivals. Her compositions have received several national and international composition prizes 2009-2016. Her works for orchestra have been performed by Jyväskylä Sinfonia (2016) and Avanti! (2011) as well as at festivals such as Young Nordic Music Days in Aarhus (2016) and Tampering (2014, 2015 and 2017). Damström’s broad catalogue of compositions includes chamber music, choral works, orchestral works as well as two chamber operas. Her music has been performed in Canada, Germany, England, Spain, Sweden, Denmark, Norway, Iceland and the Czech Republic. Her music is regularly performed in Finland at different concerts as well as at festivals such as Tampere Biennale (2010, 2012 and 2014), Helsinki Winds (2017), Summer Sounds in Sysmä (2015), Summer Sounds in Porvoo (2011), Tampering Festival (2014, 2015 and 2017), VocalEspoo (2014 and 2016) and also at the Kokonainen Festival, where she is composer in residence (2016-2019). Her music has been radio broadcast in Sweden and Germany and is regularly broadcast in Finland. Damström studied composition with Doctor Hannu Pohjannoro at Tampere University of Applied Sciences and graduated in 2014. 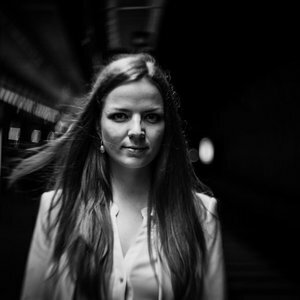 Currently she is finishing her master studies in composition at Malmö Academy of Music for Professor Luca Francesconi. She has also gathered much inspiration by travelling to master classes around Europe.